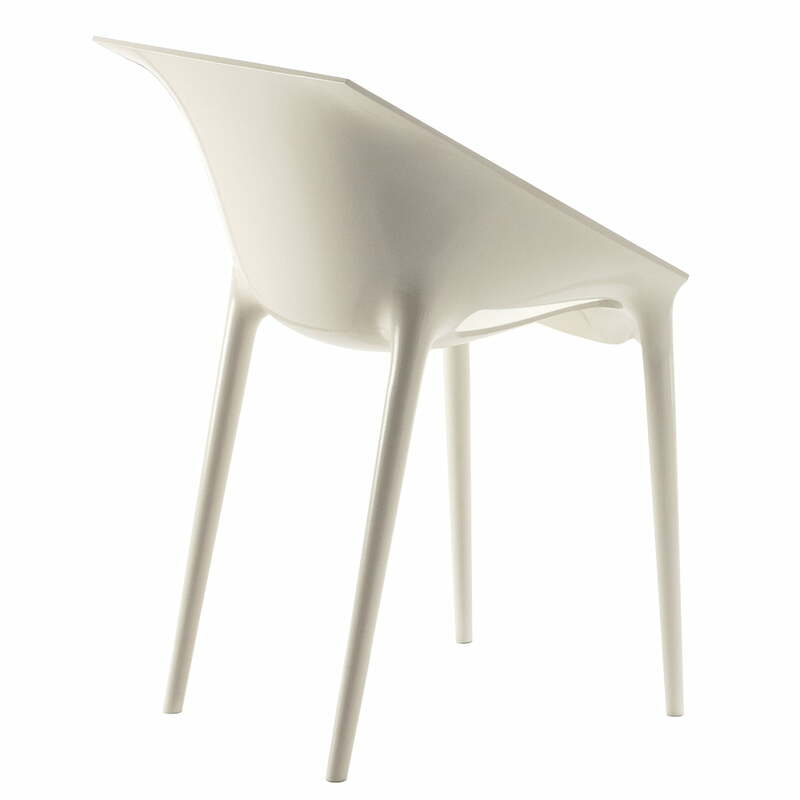 Dr Yes is a chair with a unique character which is a result of the strikingly shaped seat shell and different surface details on the inside and outside. 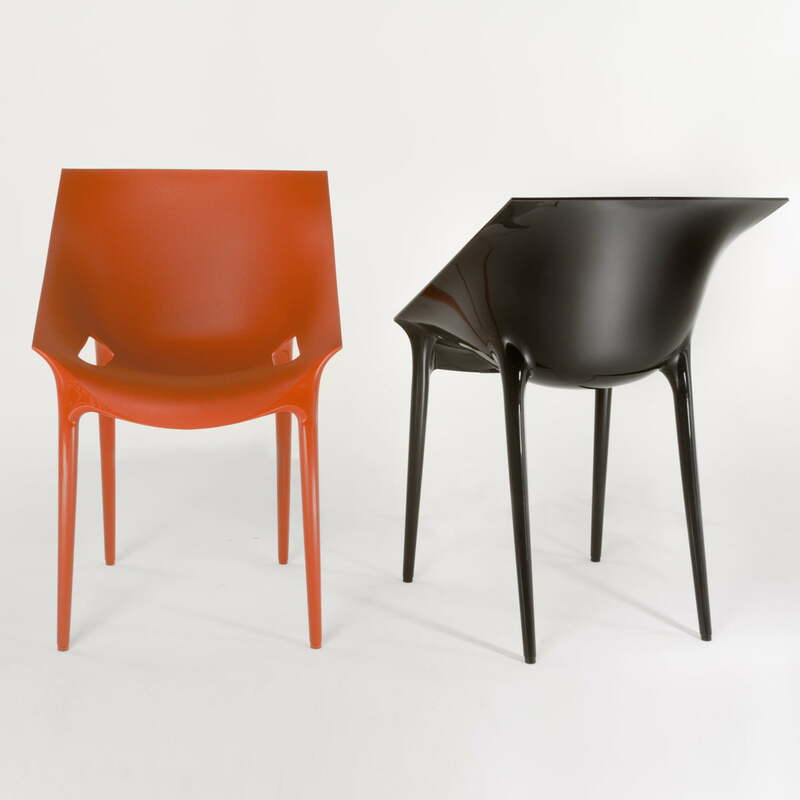 Kartell manufactures the chair based on a design by Philippe Starck using modified polypropylene, which is how it is suitable for indoor and outdoor use. 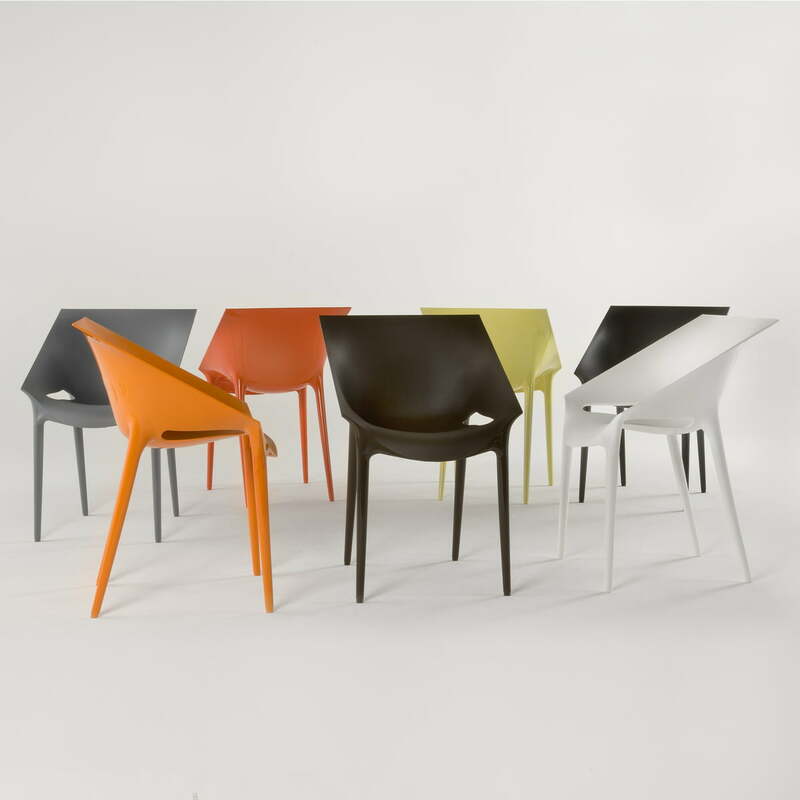 The square-shaped seat shell with inviting curves on the lower edge of Dr Yes gives the chair not just its entirely distinct character, but also provides high comfort. 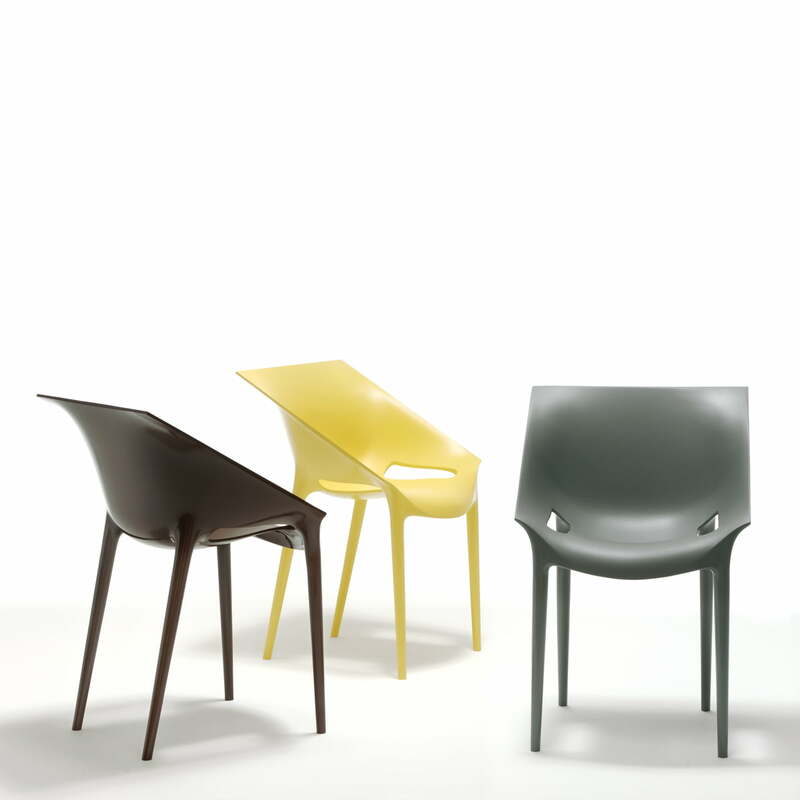 The seating surface on the inside is matte and feels soft and pleasant, while the surface of the rear and legs is glossy. 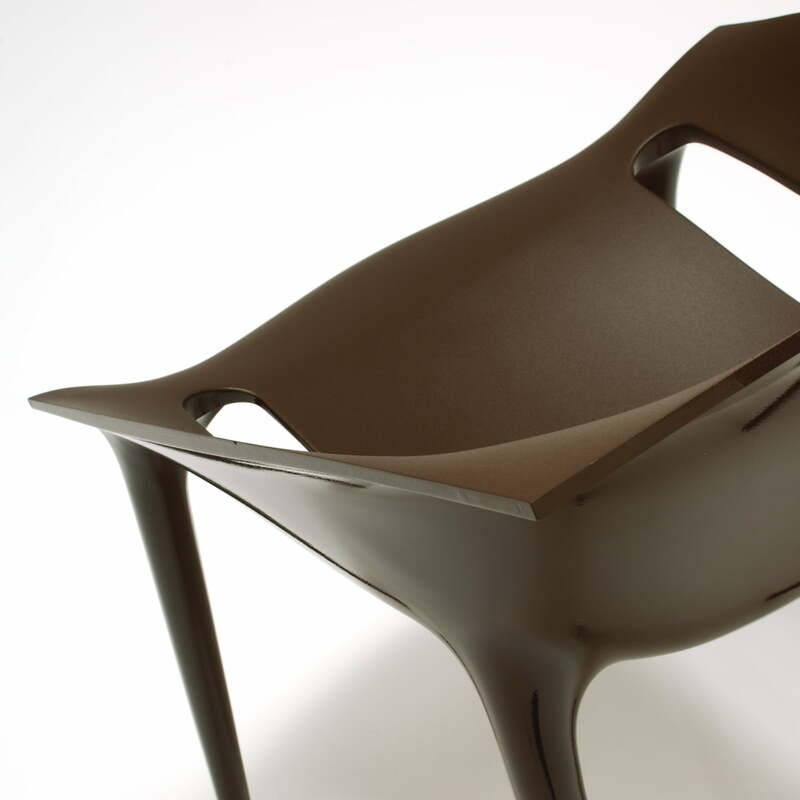 The Italian company Kartell produces Dr Yes using a gas-supported injection moulding process with modified polyethylene. 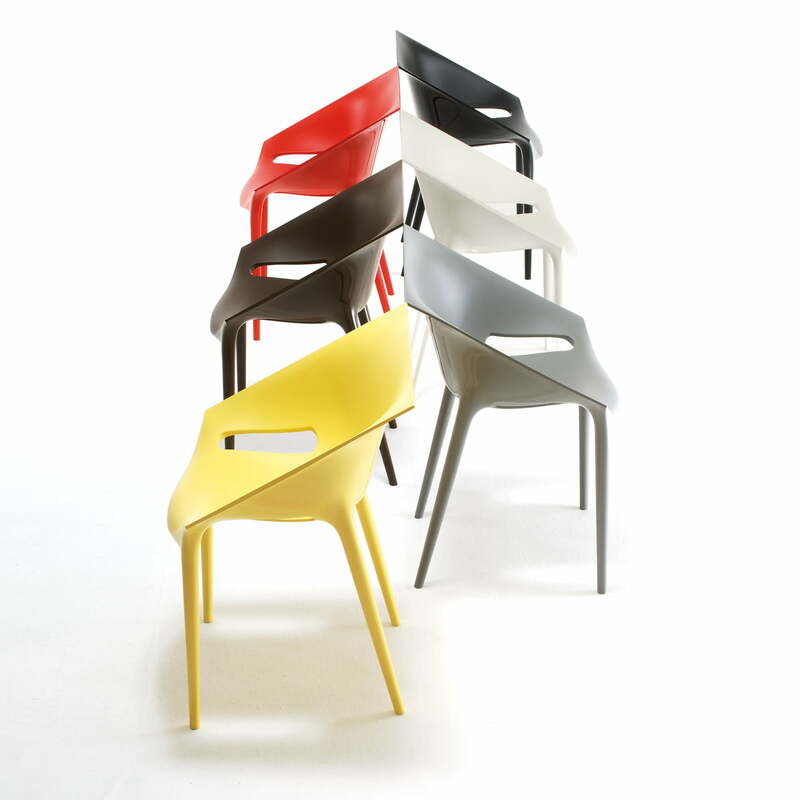 Thanks to the extremely robust material, Dr Yes is an ideal chair public spaces, commercial areas and outside areas. 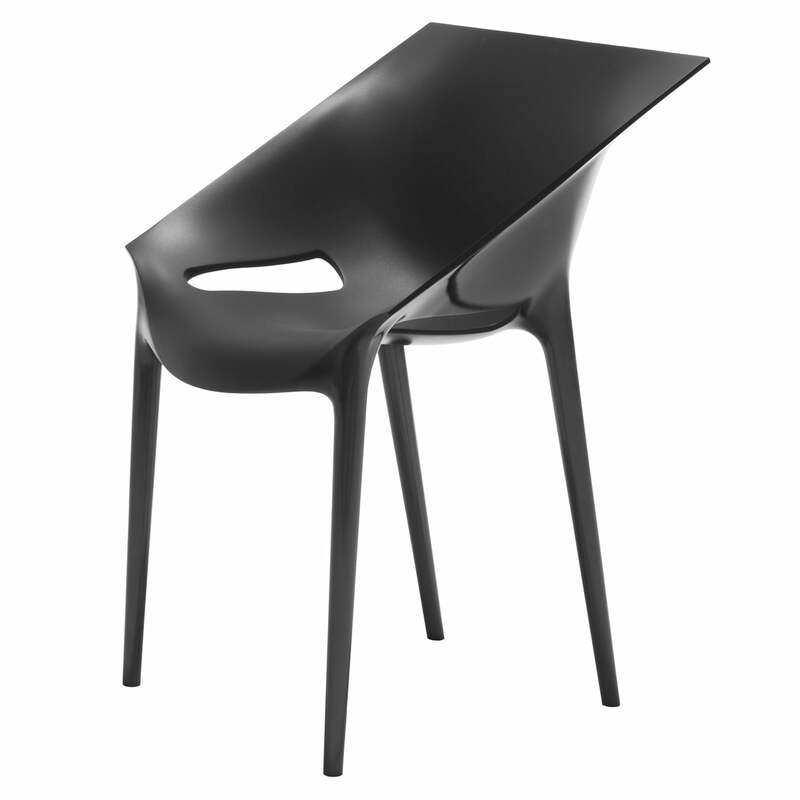 The polyethylene is also very durable and easy to clean. 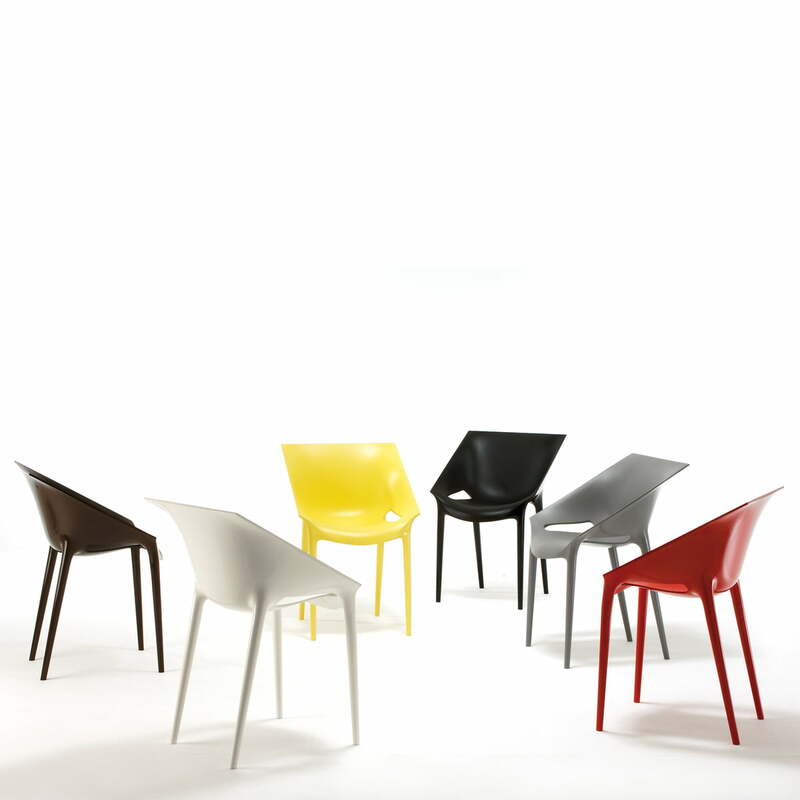 Kartell offers the Dr Yes chair in a wide range of colours. 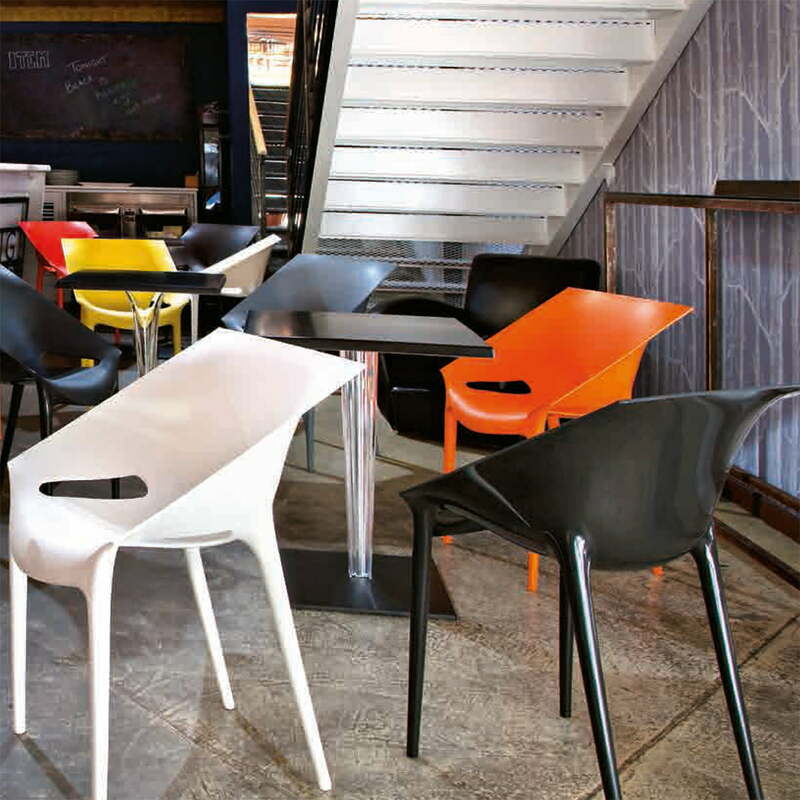 Clear, modern image in the café, on the terrace or in the lobby area. Both the chair Dr. 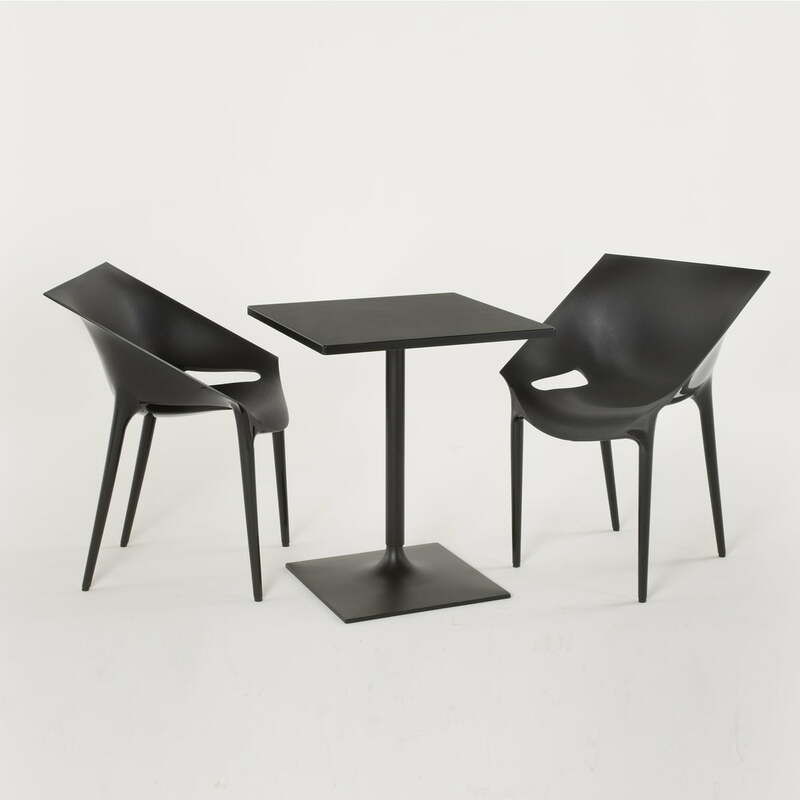 Yes and the square bistro table are, thanks to their materials, suitable for outdoor use and create a clear, modern image in the café, on the terrace or in the reception area.